Samsung’s Galaxy S10 series has been leaked over and over again, but this time it seems to be the official specs sheet of the handsets. 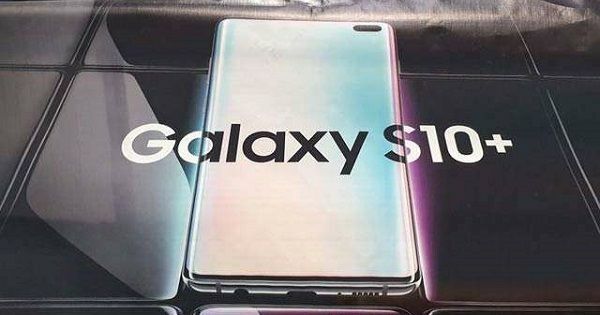 The new leak has revealed pretty much everything about the upcoming Galaxy S10, Galaxy S10+, and Galaxy S10e. Popular tech site GSM Arena got hold of the handsets’ specifications, sent via email from an alleged inside source in Samsung’s retail channel. It is more of a round-up of everything we’ve been hearing about the Galaxy S10 trio over the past few months. The spec sheets name the devices as Beyond 0, Beyond 1, and Beyond 2 — which if you have been following leaks are the codenames of Galaxy S10e, Galaxy S10, and Galaxy S10+ respectively. Starting with the displays, all three offerings will rock the Infinity O AMOLED display with QHD+ resolution, HDR+ support, and Gorilla Gass 6. The screen will have a punch-hole at the top right corner to house selfie camera(s) and an aspect ratio of 19:9. As for the screen size, the Galaxy S10+ will boast of a tall 6.3-inch display, while the Galaxy S10 and Galaxy S10e will reportedly flaunt a 6.1-inch and 5.8-inch panel, respectively. In the performance department, the Galaxy S10 series will have Exynos 9820 or Snapdragon 855 SoC (depending on the variant) ticking at their cores. The leak reveals that the chipset will be paired with 6GB + 128GB storage and 8GB + 512GB storage configurations. The Galaxy S10+ will have a third configuration – a whopping 12GB RAM and 1TB storage – as well. Each device will support Wireless Power share fast charging 2.0 support (most likely 15W) and come pre-loaded with Samsung’s latest OneUI atop Android out of the box. The biggest difference between the Samsung Galaxy S10 models is said to be the cameras. Here, the Galaxy S10+ and Galaxy S10 are tipped to arrive with triple rear cameras, the spec sheet details that the setup will include a 12-megapixel f/2.4 telephoto lens with OIS and autofocus, a 12-megapixel wide-angle lens with dual apertures (f/1.5-2.4), and a 16-megapixel ultra-wide angle sensor with f/2.2 aperture. The entry-level Galaxy S10e, on the other hand, will feature dual cameras – minus the 12-megapixel telephoto lens. For selfies, the Galaxy S10 and Galaxy S10e are both said to flaunt a 10-megapixel sensor with an f/1.9 aperture on the display hole. The premium Galaxy S10+ model will, however, have dual selfie cameras that will pack a 10-megapixel (f/1.9) primary sensor and an 8-megapixel (f/2.2) secondary sensor for Live Focus. The sensors will be backed by tons of features such as 10 scene optimizer settings, AR Emoji, stickers, live focus, and zoom effect. Moreover, Samsung is also claiming that the flagship offerings will be the world’s first to support 4K video recording via selfie camera. It’s worth mentioning that the Nokia 8, which was launched back in 2017 has 4K video recording on front camera. An XDA developers report has further highlighted the camera features and improvements on the Galaxy S10. It claims that the ultra-wide handset of the handset will be able to suggest users if a particular scene should be captured with the ultra-wide camera instead of the regular camera – this will be possible through the Scene Optimiser. Furthermore, the S10 may allow its users to switch from regular to ultra-wide cameras while recording videos. However, the videos shot with the ultra-wide camera can only capture a maximum of 30 frames per second. The phone is said to have improved the dual capture feature in Live Focus mode and ability to shoot HDR10+ videos. It’ll also have a Flaw Detection feature that debuted on the Galaxy Note9 considerably better. The former will not just tell you that the subject has blinked or the image is hazy, but also inform which mode is better to capture a particular scene. The S10 would also offer ‘Super Steady’ video stabilization (seems to be an advanced version of OIS) and a ‘Bright Night’ mode for better photography in a low-light environment. On the battery front, the Galaxy S10+ will be fueled by an impressive 4,100mAh cell. While the Galaxy S10 and Galaxy S10e are likely to rock 3,400mAh and 3,100mAh battery respectively. All the three offerings will have Face unlock feature and fingerprint sensor option – on the Galaxy S10 and Galaxy S10+, it’ll be under the display, while Galaxy S10e will have a side-mounted scanner embedded in the power button. Other features include AKG-powered headphones and speakers, IP68 water and dust resistant certified, and Dolby ATMOS sound support. All the three Galaxy S10 models will come in Prism White, Prism Green, and Prism Black colour options. However, the special 12GB and 1TB option will be available in Luxurious Ceramic Black and Luxurious Ceramic White shades. Unfortunately, the leak hasn’t revealed smartphones’ price, but rumours have it that it’ll start from Rs 50,000 and go up to Rs 1,00,000. We will have a confirmation on that when the Samsung will take the wraps off the Galaxy S10 trio at an event in San Francisco, California.